Samantha Khoury outside the University of Technology, Sydney. Dentists are at the frontline of oral cancer detection and having the ability to suggest something as simple as a blood test could ultimately save lives. By Samantha Trenoweth. 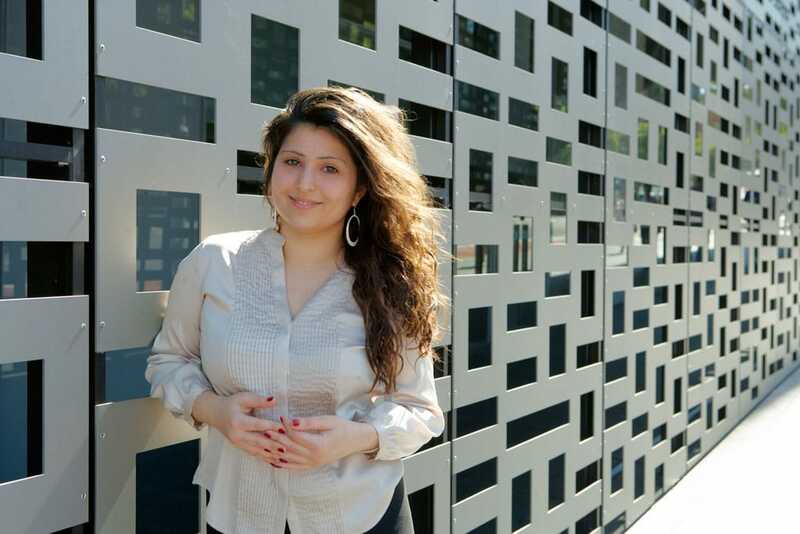 Samantha Khoury is a bright, tenacious, idealistic young scientist based in the Centre for Health Technologies at University of Technology, Sydney (UTS). She is part of a groundbreaking team that is working to improve the prognosis for many of the thousands of Australians who are diagnosed with oral cancer annually. She is also an early riser. “I do my best work before lunch time,” she admits, sparkly eyed at 9am, “so I like to get in here as early as I can and begin testing while my mind is fresh and alert.” The team, led by Dr Nham Tran, has discovered blood biomarkers for the potential early diagnosis of oral cancer. Oral cancer is the sixth most common form of cancer in the world but the amount of attention and medical research it attracts is disproportionately low. “Studies have been done, profiling the blood of patients with other major cancers, like lung cancer, breast cancer and colorectal cancer,” Dr Tran explains. “Oral cancer seems neglected.” Samantha Khoury and Dr Tran have successfully discovered a set of blood markers. Now her PhD studies involve validating hundreds of blood samples for these biomarkers. When their work is complete, the final outcome will be a diagnostic blood test for the early detection of oral cancer. This will be as simple and hopefully as affordable as the blood tests that doctors regularly request to check cholesterol, iron or blood sugar levels. The discovery of these biomarkers in the blood will certainly save lives. It will mean that oral cancer can be detected far earlier, through a simple, non-invasive blood test rather than a painful biopsy. And this is crucial because, globally, the incidence of oral cancer is on the rise. “In India and parts of Asia,” Dr Tran explains, “rates are high as a result of the carcinogens that people ingest. It’s the combination of smoking and the betel nut that they chew. In India, younger people are diagnosed with oral cancer—often they’re in their early twenties—whereas, in Australia and the USA, the average age for diagnosis is 62.” “In Australia and other developed countries,” Khoury adds, “oral cancer has primarily been a disease of older men who have a history of tobacco and alcohol consumption. 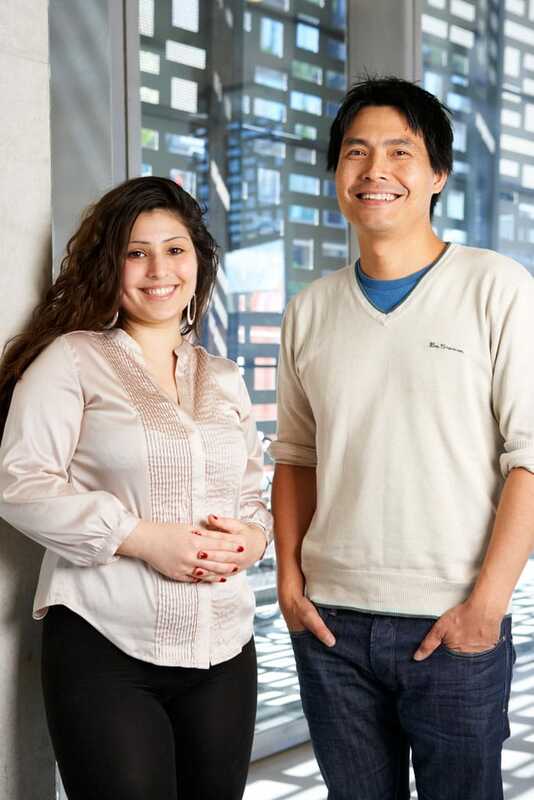 Samantha Khoury and her supervisor, Dr Nham Tran. This innovation, currently being filed under a UTS provisional patent, is cost effective and convenient, and can feed into a whole range of Australian medical screening programs. When the current round of testing is complete, the team will publish its findings and seek approval from regulatory bodies in the United States and Australia. If successful, they hope to further engage with the dental profession to implement a national screening program for oral cancer. “A dentist is often the first person to pick up changes associated with oral cancer when they do a visual inspection of the mouth,” Samantha explains. “Dentists are at the frontline of oral cancer detection and they will be reassured when they can suggest something as simple as a blood test if they notice changes in a patient’s mouth. Early intervention with head and neck cancer makes a very big difference making dentists aware of their role is an important strategy.” Approximately 1100 people are diagnosed with oral cancer annually, which equates to three Australians being diagnosed per day. Currently, the only two options available for patient diagnosis are the brush test and tissue biopsy. This research will provide the first ever blood-based diagnostic kit, which the team has tentatively named miLifeTM. Because the majority of oral cancers are found as late stage cancers, the death rate is high—around 43 per cent at five years from diagnosis.